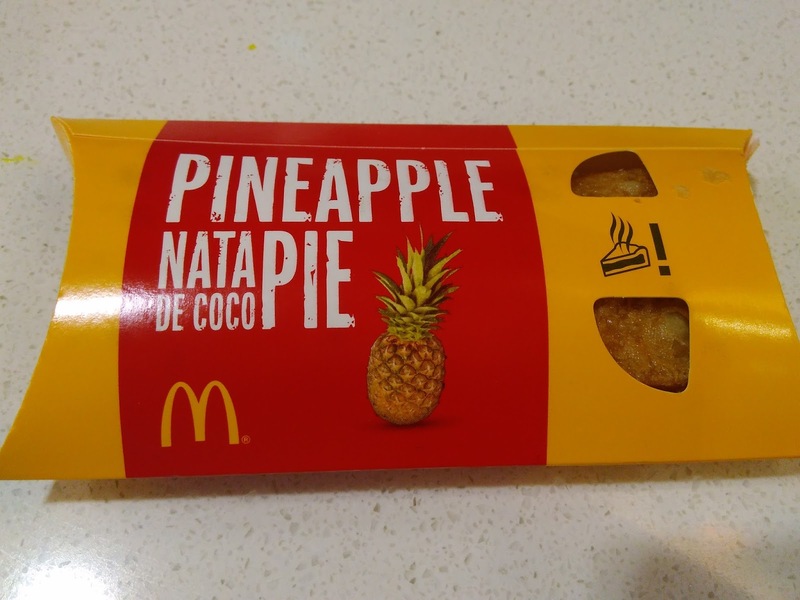 I tried the Pineapple Nata de Coco Pie back in early February when I tried the pleasant Pineapple Cookie Crumble McFlurry at the tail end of their annual Prosperity Burger promo. It fell to the back of the review queue because it just wasn't that exciting, and I felt it was going to be a challenge to write a full review on it. 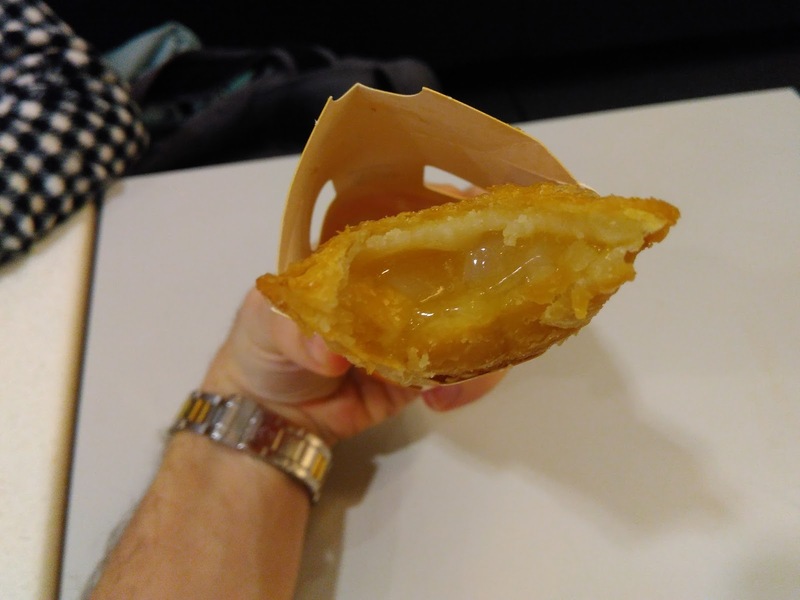 Now the Pineapple Pie is a regular menu item in my new home of Thailand, and it seems to pop up every Lunar New Year in Singapore, Malaysia, Hong Kong, Taiwan and a handful of others. 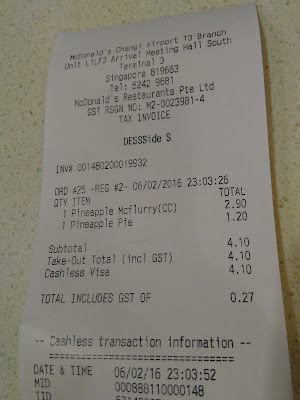 McDonald's Singapore has also tried to vary it up recent years with Pineapple + other fruit options, like the Mango Pineapple, and this year they released the Pineapple Nata de Coco, a topping which strangely only ever pops up in Singapore and Malaysia, they just love this stuff even though it originates from the Philippines! Even though I'm not a fan of Pineapple, I had praised McDonald's for using actual large chunks of Pineapple in their pies over the last couple years. This year however, they removed all those real fruit pieces and replaced them with the sugary Nata de Coco pieces. If you haven't read my earlier reviews, Nata de Coco is like a coconut jelly typically served as a desert and occasional in bubble tea style beverages as a tapioca alternative. I've never really had any preference for, or against it, but it is a bit boring for my taste, as when I want desert, I want something rich. 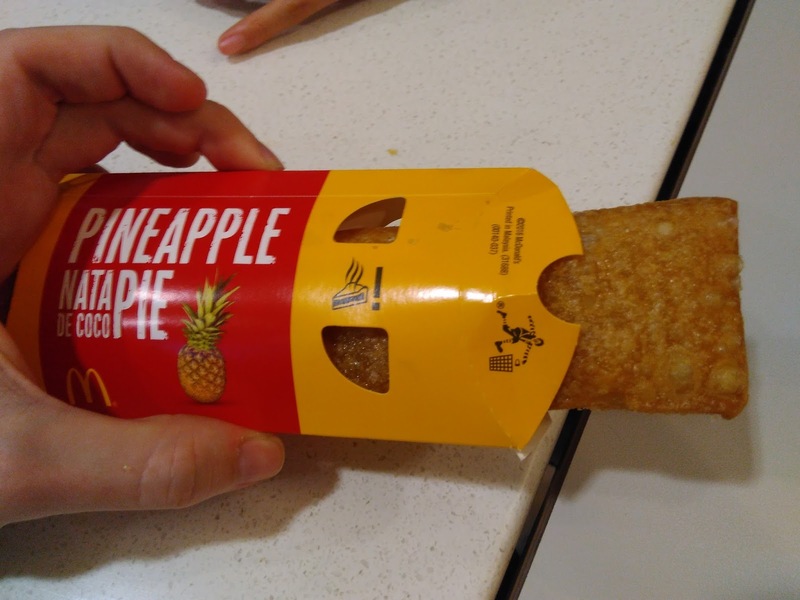 So what they did was removed the only thing I liked from the previous Pineapple Pies and replaced it with more sugar. 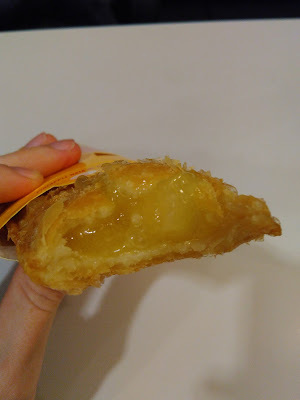 The Pineapple syrup that filled the majority of the pie tasted exactly like I've come to expect, with a hint of pineapple flavour and heavy on the sugar. 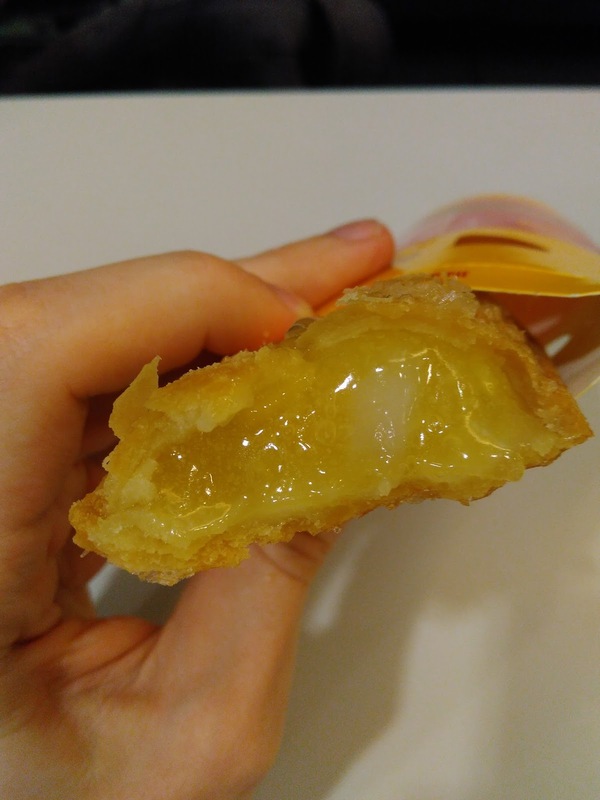 The Nata de Coco pieces were also of decent size, each probably 2cm x 2cm which is pretty big for a McDonald's Pie, but any coconut flavour they should have had was completely overshadowed by the rest of the pineapple syrup, in the end they only added some texture to the fried pie, nothing else. The only positive this pie had was that it was filled to the brim, end to end this pie was heaving, and due to the thick Nata pieces, it was a bit taller than a 'standard' pie. 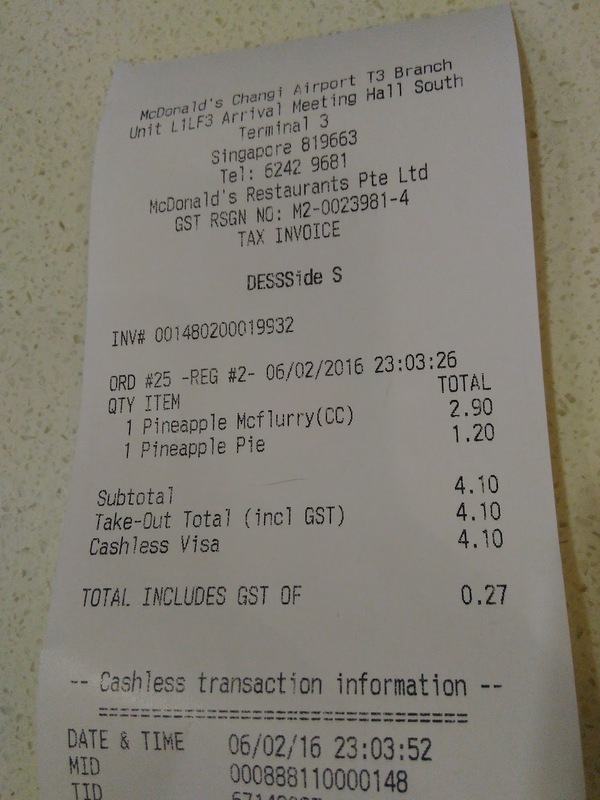 Since it was nearly midnight when I ordered it, I ended up having 2 small bites, being completely turned off and threw the rest away to go catch my connecting flight.